The New York Times bestseller, now available in paperback—Mary Karr's sequel to the beloved and bestselling The Liars' Club and Cherry "lassos you, hogties your emotions and won't let you go" (Michiko Kakutani, New York Times). 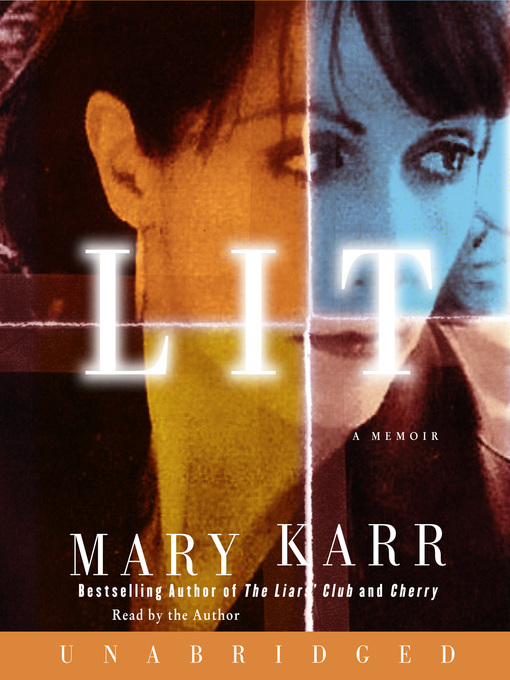 Mary Karr's bestselling, unforgettable sequel to her beloved memoirs The Liars' Club and Cherry—and one of the most critically acclaimed books of the year—Lit is about getting drunk and getting sober; becoming a mother by letting go of a mother; learning to write by learning to live. The Boston Globe calls Lit a book that "reminds us not only how compelling personal stories can be, but how, in the hands of a master, they can transmute into the highest art." The New York Times Book Review calls it "a master class on the art of the memoir" in its Top 10 Books of 2009 Citation. Michiko Kakutani calls it "a book that lassos you, hogties your emotions and won't let you go" in her New York Times review. And Susan Cheever states, simply, that Lit is "the best book about being a woman in America I have read in years."